Kilmarnock have announced the signing of Greg Stewart on a season-long loan deal from Birmingham. Subject to international clearance, the 28-year-old attacker could make his Killie debut in Saturday’s Ladbrokes Premiership clash against Aberdeen at Pittodrie, where he spent last season on loan. The former Cowdenbeath and Dundee forward told Kilmarnock’s official website: “I feel I can bring goals and assists and I’m looking forward to enjoying my football again. Hopefully I can work hard and help the team that way. 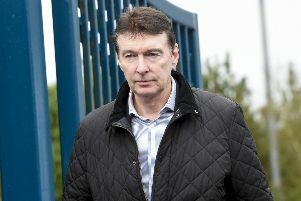 “I played against Steve Clarke’s Kilmarnock team last season and I thought they were a difficult side to play against. “Playing against them you could tell they were a good side and you could see he was building something here. “I had a chat with him last week and I was more than happy to get things over the line.